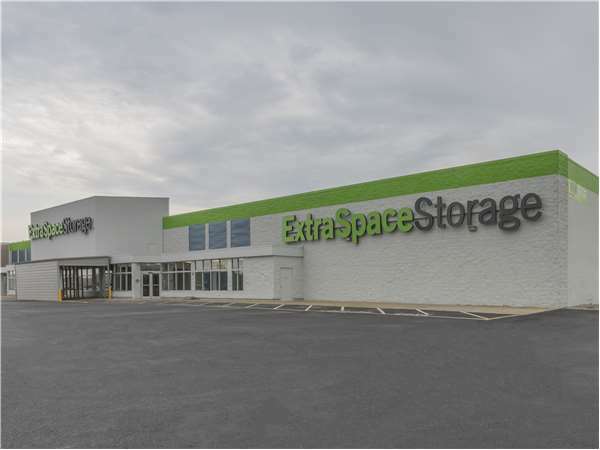 Located near the intersection of Cleveland St and Hwy 20, Extra Space Storage serves Elyria residents near Downtown, Eastern Heights, Chestnut Heights, Spring Valley, and more. Locals will recognize our facility in Elyria Shopping Center near Dollar Tree and Burger King. Extra Space Storage on Cleveland St offers a variety of storage units, climate-controlled storage, and exceptional security. We're the storage partner you can trust in Elyria! I can't believe that Extra Space raised the rental price already, i have only been renting with them for 3 months. Looking for another location to rent. It's clean and temperature control units. They provide flat hand carts for easy unloading and handling. Down fall is not accessible 24 hours . Hopefully soon. This place is the upper echelon a storage units it's very clean it's very new and everything about it is very nice management knows what they're talking about and is willing to work with you. Drive south on N Abbe Rd. Pass I-80 and turn left onto John F Kennedy Memorial Pkwy. Turn left onto Cleveland St. Our facility is on your right, next to the Dollar Tree. Drive north on Hwy 20. Pass Walmart and continue straight on Hwy 20. Turn right onto Cleveland St. Our facility is on your right, next to the Dollar Tree. Drive west on Center Ridge Rd. Pass I-80 and continue straight onto Cleveland St. Our facility is on your left, before Hwy 20 and next to the Dollar Tree. Drive east on John F Kennedy Memorial Pkwy. Pass Elyria Catholic High School and continue straight on John F Kennedy Memorial Pkwy, following around the bend. Turn left onto Cleveland St. Our facility is on your right, next to the Dollar Tree.